As empires rose and fell and mighty kings jostled for power, its glittering radiance never dimmed. It is the "Mountain of Light" - the Kohinoor diamond - and its facets reflect a sweeping story of love, adventure, conquest, and betrayal. Its origins are the stuff of myth, but for centuries this spectacular gem changes hands from one ruler to another in India, Persia, and Afghanistan. In 1850, the ancient stone is sent halfway around the world where it will play a pivotal role in the intertwined destinies of a boy-king of India and a young queen of England - a queen who claims the Mountain of Light and India itself for her own burgeoning empire, the most brilliant jewels in her imperial crown. 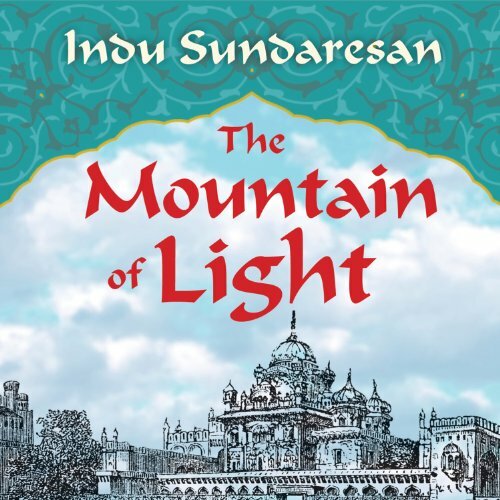 The Mountain of Light is a magnificent story of loss and recovery, sweeping change and enduring truth, wrapped around the glowing heart of one of the world's most famous diamonds. Interesting history but the majority of characters are underdeveloped and the plot lines are unfinished. It's more like a comic book version of a " Brief History of the Kohinoor diamond, but comic books have more compelling drama. Perhaps the book tries to cover too many stories, but in any event there just isn't enough substance to recommend it to others.